GREENVILLE— Paul Gene Coning left a legacy here in Darke County upon his recent death, and many people are already missing him. 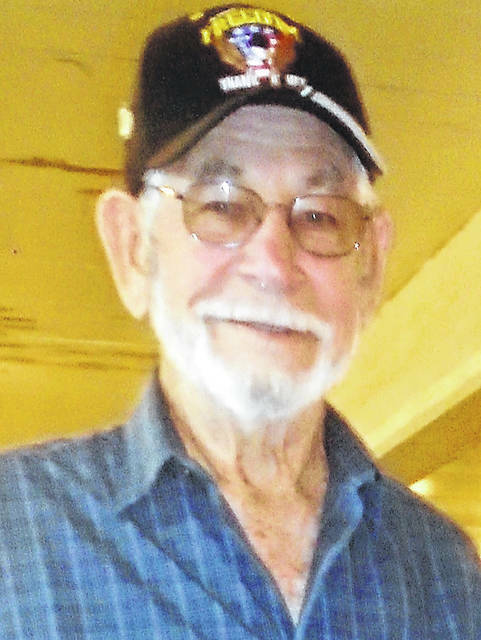 The man, whose name is synonymous with the Darke County Fair, especially two of its departments – swine and fruit and youth vegetable; the Shawnee Prairie Nature Preserve; and the Woodington Congregational Christian Church, died the afternoon of March 24, nine days shy of his 90th birthday. An Army veteran of the Korean War serving in the U.S. Army from 1950-53, he was a 1947 graduate of Greenville High School, a 32-year employee at the Union City Body Company and a lifetime farmer and a volunteer of many organizations. Nina Unger, who met the Conings when they were involved with the swine department during the Darke County Fair, said she thinks it was the 1970s when she and husband, Lowell, and the Conings came on board in that department. Unger also echoed the sentiments of others that he was always seen with his wife. Wife Nola is now questioning how she can continue on without him. She said she met the man of her life in 1950 while staying with a girl friend.